much love, illy: sorry i've been MIA. been a little busy doing this. what i've been up to + shop sneak peeks. sponsor love + giveaway with My Life in Lavender. Summertime Arm Party 2012 Link-Up Partaaaaaaay! sponsor love + giveaway with Kintage - CLOSED. some things that are rocking my face off. sponsor love + giveaway with Yellow Heart Art. sponsor love + giveaway with Snowdrift Designs. sorry i've been MIA. been a little busy doing this. 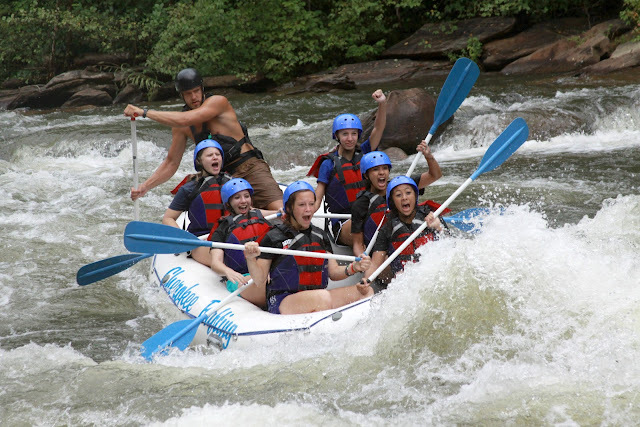 white-water rafting in the Ocoee River in Tennessee with an energetic group of high school teen girls as we rafted through some crazy, awesome rapids. i'd say it's a pretty legit reason to be MIA, wouldn't you say? and i promise more updates (so much to share!) and pics from camp coming up this week! but for now, this old gal needs to get some much needed sleep, baby some bug bites and bruises, and of course, catch up on Olympic highlights. yeah, baby! Crazy!! Looks like you guys had a fun time! Wow this looks like so much fun! Gonna have to add that to my bucket list! ♥ Can't wait to read about more! fun! I'm going rafting on the Ocoee on the 25th! I've been a few times, same river, and it's ALWAYS terrifying. Why am I doing this again? can't wait to hear all about your trip!! and i got a ton of bug bites this weekend too.. not fun!! I've missed you so much! Hooray for more pics of your adventures!!! That looks like fun! At least when you're MIA from the blog you're out having fun! What an epic face you're making! Love it. That looks like SO much fun!!! That looks like CRAZY amounts of fun! i've been MIA too... but I think it's good for the soul to be out in real life and, of course, to take rest when needed. love to you lady! oh yes! that's definitely a good reason to MIA. have lots of fun! coolest pic EVER! that looks so stinkin' fun. look at the hunk rowing you guys (or whatever he's doing) ha!! I wish I was that brave! look sooo much fun! have a great time!